There’s something about the guys in The Lonely Island that makes them seem like a perfect match for Saturday nights. Maybe it’s the fact that all of their music has the same cool vibe as a totally rad Saturday night? Or maybe it’s because most people coincidentally heard their biggest hits for the first time on Saturday nights? 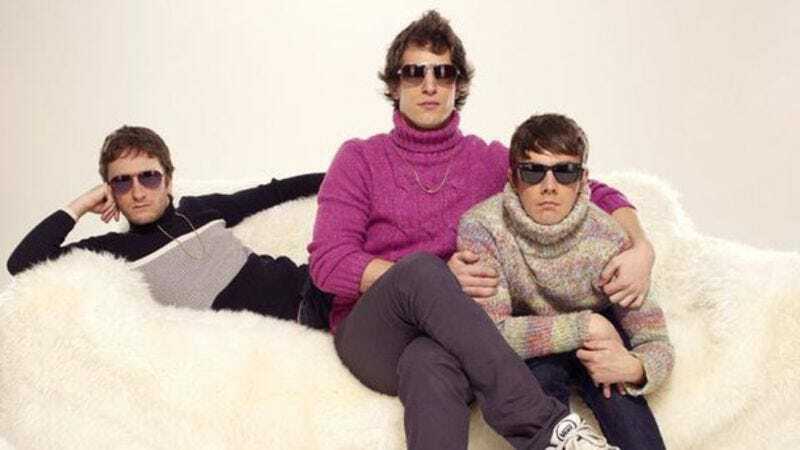 Whatever the inexplicable connection between The Lonely Island and Saturday night is, Fox is going to take advantage of it by letting the Lonely Island boys produce their very own sketch comedy show that will air—you guessed it!—on Saturday nights. The show will be titled Party Over Here, and it sounds like Andy Samberg, Akiva Schaffer, and Jorma Taccone will be strictly working behind the scenes instead of actually starring in it. The actual stars are three different funny people: Girl Code’s Nicole Byer, Riot’s Jessica McKenna, and Resident Advisors’ Alison Rich. This all comes from Variety, which reports that Party Over Here will feature “sketch comedy shorts, along with in-studio segments filmed in front of a live audience.” Sketch comedy shorts, a live audience, and Saturday night? Fox might be onto something here. Party Over Here premieres March 12.